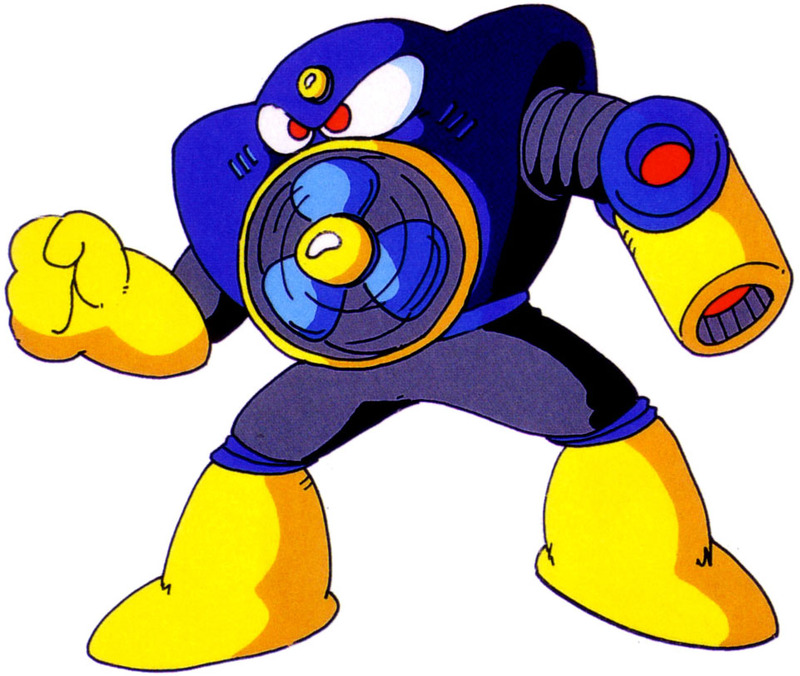 Air Man is one of the Robot Masters (Stage Bosses) in Mega Man 2 (1988) and was the first one in the series that had his face built into the torso instead of having a head. 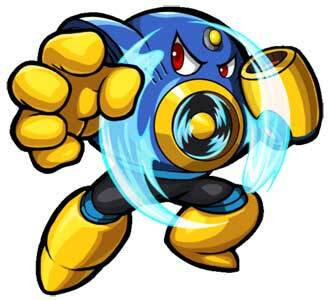 He is vulnerable to the Leaf Shield. Air Man returned in a couple of games including Mega Man’s Soccer (1994) where he debuted as a playable character. 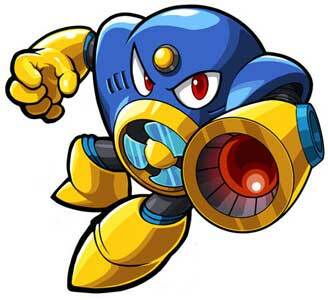 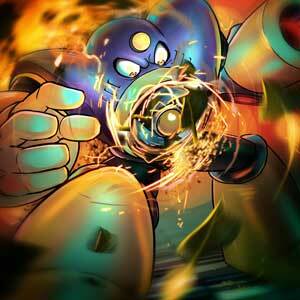 He also returned as one of the bosses in the arcade fighting game Mega Man 2: The Power Fighters (1996). 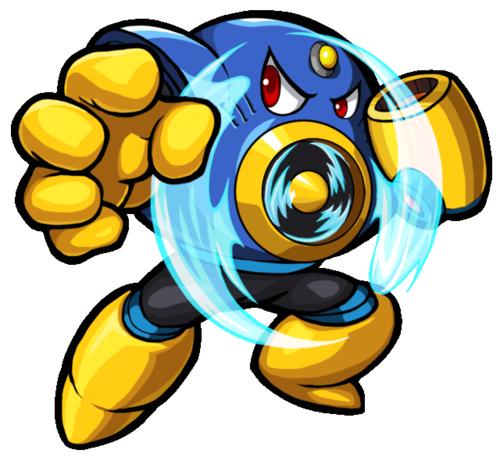 His latest in-game appearance so far was in Street Fighter × All Capcom (2013). He also appeared in the Mega Man and Captain N cartoon series.